No dedicated fart apps section? The annual Appy awards are underway again, with public voting now open to decide the best apps on the market. There are 60 shortlisted apps to be voted upon through 12 categories, making it 20% larger than last year's inaugural awards, which, like this year, were hosted by The Carphone Warehouse. A number of prominent apps are up for the gongs this time around, including the likes of Skype, Domino's Pizza and ESPN Goals across the range of categories. 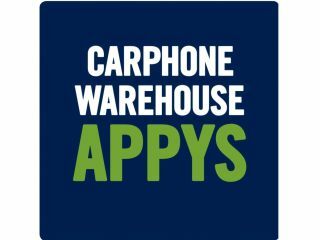 Those that are clamouring to vote for their favourite titles (or to see the full list of games, tools and ways to waste half an hour at an airport) can head on over to www.appys.com or pop in to a Carphone Warehouse store to cast their nod until 31 March. The winners will be revealed on 25th April, and we're slightly curious to see how Battersea Power Station will be "transformed into a futuristic world of apps." Either way, let's hope Angry Birds doesn't squawk away with the title of App of the Year again, especially with TechRadar favourite Grand Theft Auto III in the running.